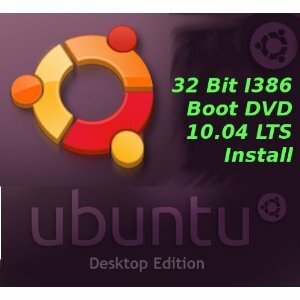 Qt is a toolkit for creating GUI applications for computer and mobile platforms.Qt is a cross-platform application development framework and uses c++(primarily).Qt is a free and open source;KDE desktop environment is based on Qt. 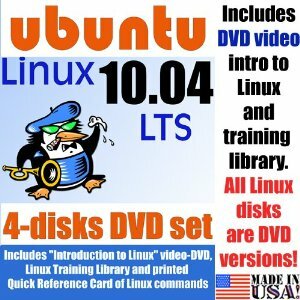 On Ubuntu 10.04 if you want to create gui programs with C++ programming language then you can use Qt.First install Qt from Synaptic Package Manager or Ubuntu Software center or from command line. 1. Go to System->Administration->Synaptic Package Manager and enter the login password when prompted. 2. Next,Type “qt4” in quick search bar(Located at top-center position in the window). 3. Then select the Qt packages and libraries you need to install(Some of them may be installed already if you are using KDE desktop or applications).Then click on apply to install the selected applications. 4. Now wait for the installation to complete.Now you are ready to use it. There are other Qt based applications available to make the GUI and widget design much easier like- Qt4 IDE,Qt4 Designer,Qt4 Settings,Qt4 Assistant;all of these applications you can install in one click from Ubuntu Software Center.Click on Applications->Ubuntu Software Center and search for “qt4” and click on install button(In that row) to install any application. Price : $19.95 What is included with this purchase?? 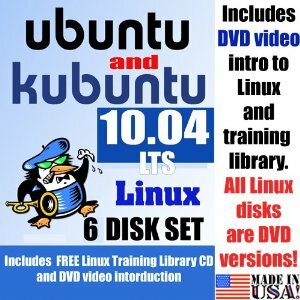 (B) Ubuntu 10.04 LTS and Kubuntu 10.04 for both – 32 bit and 64 bit. Ubuntu 10.04 has a default text editor Gedit which is probably sufficient for editing source files in any programming language.For HTML also you can use gedit but for experienced web designers who have to implement a lot of features(Tables,frames,dialogs…) in websites or in database driven websites implemented using PHP-MySQL another efficient editor is required.That’s why Bluefish editor is designed. 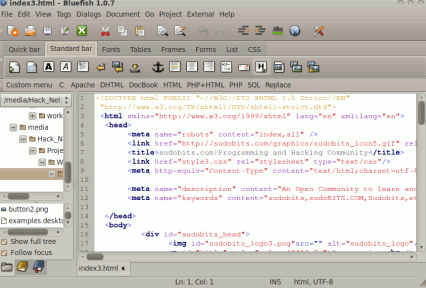 Bluefish Editor is a HTML editor designed by using GTK+ for Web designers.It is FREE and Open Source Application with easy to use and powerful interface.It’s features include simple way to insert tables and frames in web pages,thumbnail creation with automatic linking as well as HTML syntax highlighting. 1. 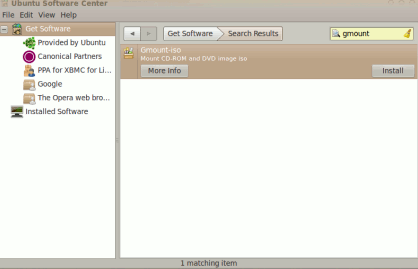 Open Ubuntu Software Center and Search for “bluefish editor”. 2. Then Click on install button to start installation. 3. Wait for the installation to complete(It will take few minutes). 4. That’s All..Now you can start bluefish from Applications->Programming->Bluefish Editor. Conclusion : Bluefish has a lot of features(You will enjoy it if you have some experience in web designing) but if you want some more advanced features to control the HTML elements in visual environment then you may like to use Adobe Dreamweaver. ISO image is actually an archive file of an optical disc with ISO 9660 file system(UDF file system is also supported with ISO image),so it is also known as CD image or DVD image or Disc image.ISO image files have an extension of .iso which contains merged files in uncompressed state.By using software or tools you can easily mount the ISO images on your computer.On Ubuntu 10.04 there is one such tool – Gmount-iso. 1. 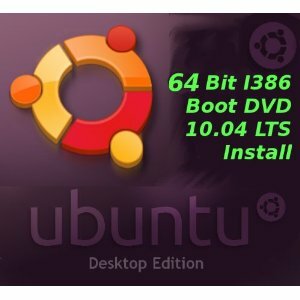 Open Ubuntu Software Center from Applications or Ubuntu Control Center. 2. Then,search for “gmount” and click on install. 3. Wait for installing process to complete,it will take less than a minute. 4. 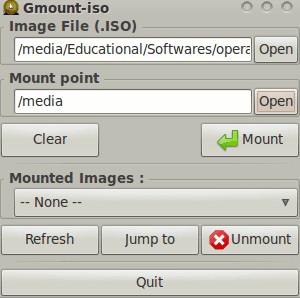 To start mounting iso images open Gmount from Applications->System Tools->Gmount-iso. Conclusion : Gmount-iso is a very small application with few basic features,for more advanced features you can use Daemon Tools but currently it is available For Microsoft Windows only.